With the exception of my hatred for Kenny G. and all other pseudo jazzy, easy listening versions of classic Christmas music, I freakin’ love everything about the holidays. I love the twinkling lights and the smell of Christmas trees, movies like It’s A Wonderful Life and Bad Santa (Billy Bob is a dirtbag but there’s never been a more hilarious Santa), the parties, the dinners, the presents, and— you guessed it— the holiday treats. Egg nog! Cheers to that! Without even having to think twice about it, I can tell you my absolute all-time favorite in December is egg nog. While I’ve had a few different ones this season and Ronnybrook continues to be the best, the prize for most fun and festive definitely goes to Rolf’s egg nog. 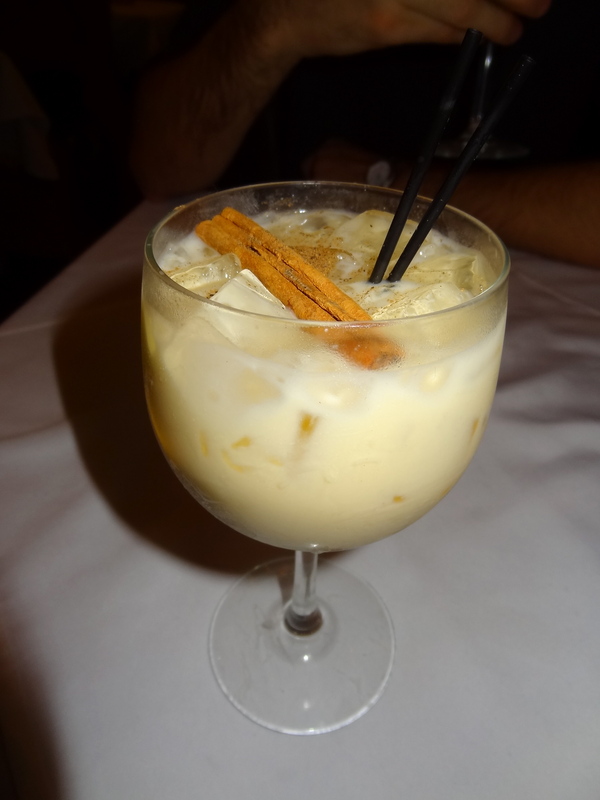 Served over ice, spiked with Southern Comfort and garnished with a dash of nutmeg and a cinnamon stick, Rolf’s version gives me the same giddy feeling I got as a kid on Christmas morning. (You know, before I learned Santa didn’t exist and my parents were liars.) 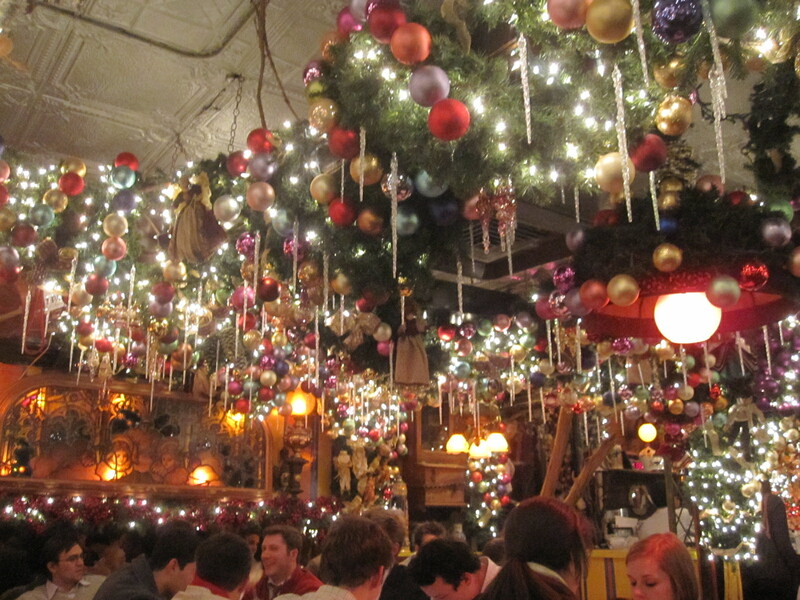 Rolf’s itself is the most insanely decorated, holiday-crazy, Christmasy place I’ve ever been to with the exception of maybe Disney World during December. Everyone in New York should absolutely go at least once to this Gramercy german restaurant. If you go and don’t feel even a little flicker of holiday cheer, then you my friend, have no soul and a dusty piece of coal for a heart. 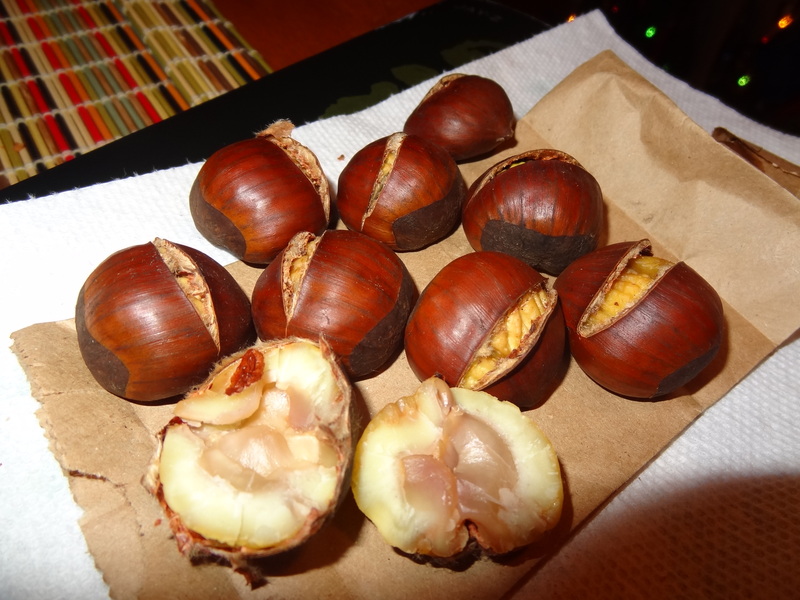 Another favorite of the season, though thankfully not as disgustingly gluttonous as egg nog, are roasted chestnuts. The woodsy, nutty, almost-burnt smell as they roast, the warm, soft inside, the cracking them open and chipping away at the toasted shell— I love them. 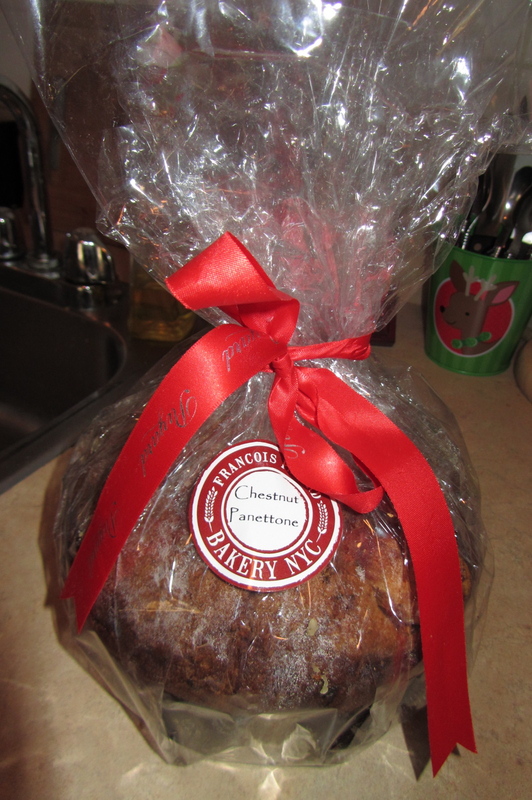 I want to sit in front of a fireplace on a snowy night and eat dozens of them. Even though I have to buy them from a street vendor with mechanic hands and impatiently eat them on the subway, I still love ’em. Now if stores would just cut the crappy Christmas tunes. I mean, really, Michael Bolton’s A Swingin’ Christmas? No. Just no. I love the holiday season and almost everything about it (with the exception of maybe fruit cake which I will quite possibly never come around to) but it’s not often that I’m so moved by the holiday spirit that I have the urge to burst out into song and belt out a Christmas carol or two. 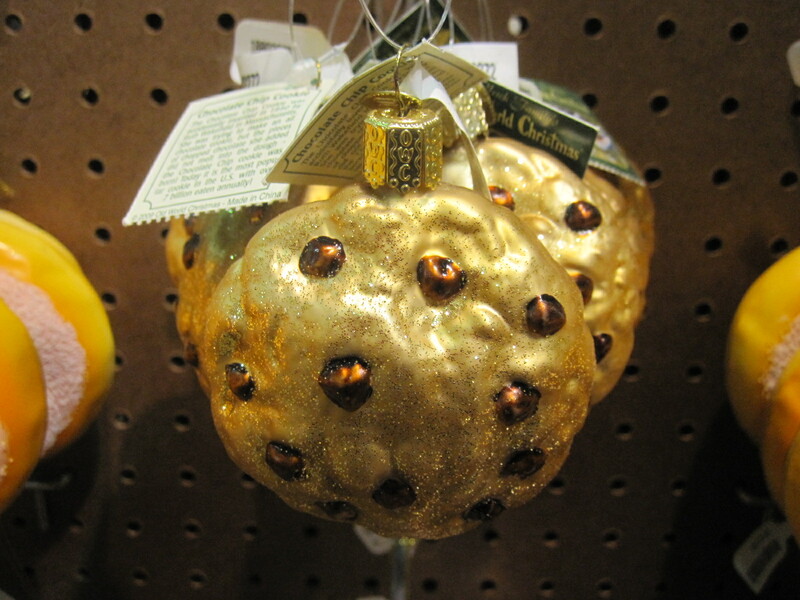 But seriously, these ornaments I saw at Urban Outfitters this weekend kind of made me want to do just that. O Christmas tree! O Christmas tree! 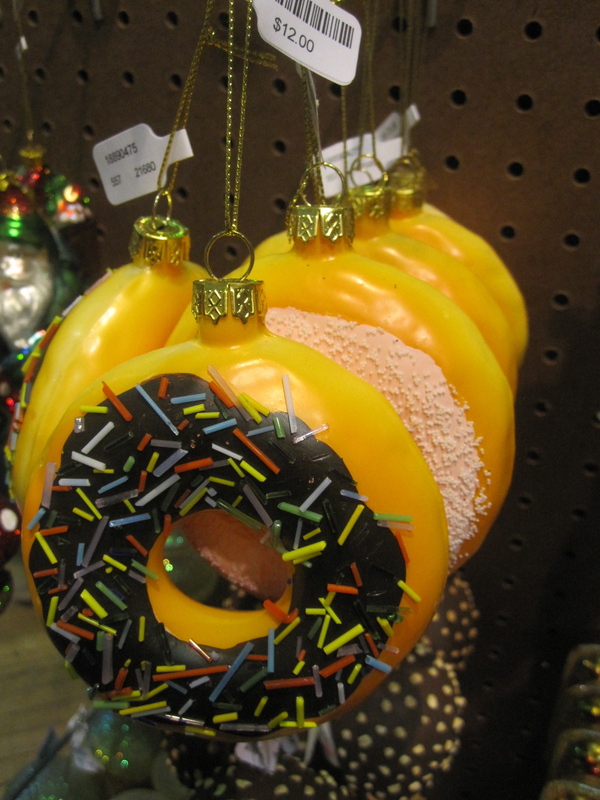 How delicious are your ornaments! Well, no, maybe I didn’t go quite that far. The only Christmas songs I ever feel compelled to sing along with are Wham’s “Last Christmas” and of course, Mariah’s “All I Want for Christmas is You.” (I mean really, how ridiculously catchy is that song?) Even then, I tend to have these moments home alone (or in the shower) and not out in public.